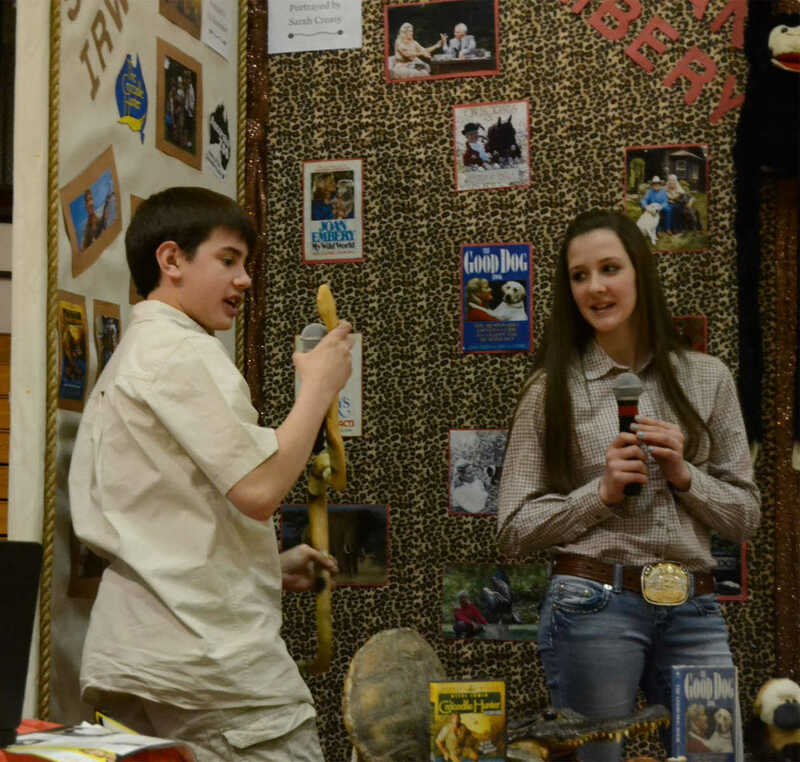 Eli Householder and Sarah Creasy portray Steve Irwin and Joan Embery, respectively, at the Wax Museum on Tuesday. 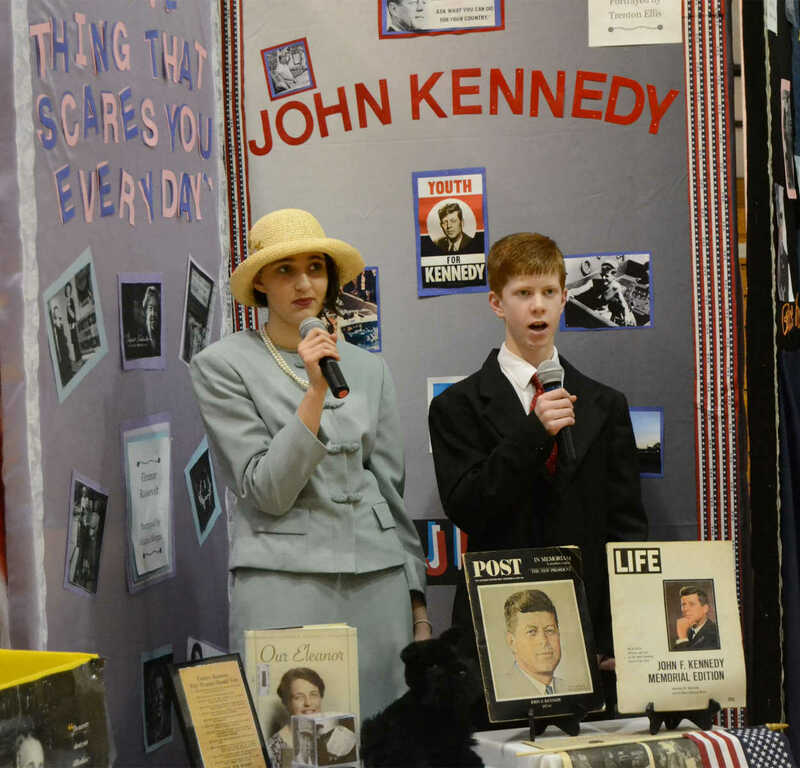 Alaina Morgan and Trenton Ellis portray Eleanor Roosevelt and John F. Kennedy, respectively, at the Wax Museum on Tuesday. 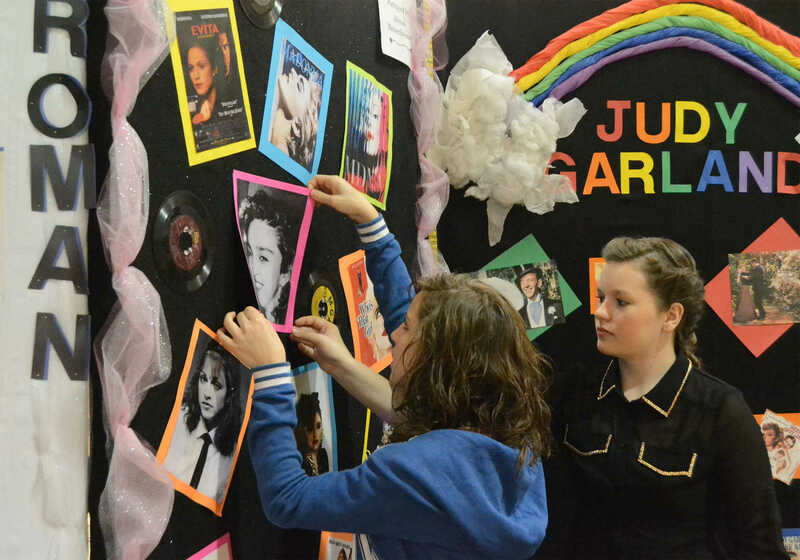 Alyssa Meisenheimer and Lauren Eaton, right, work on a backdrop before the Wax Museum opens to the public on Tuesday. 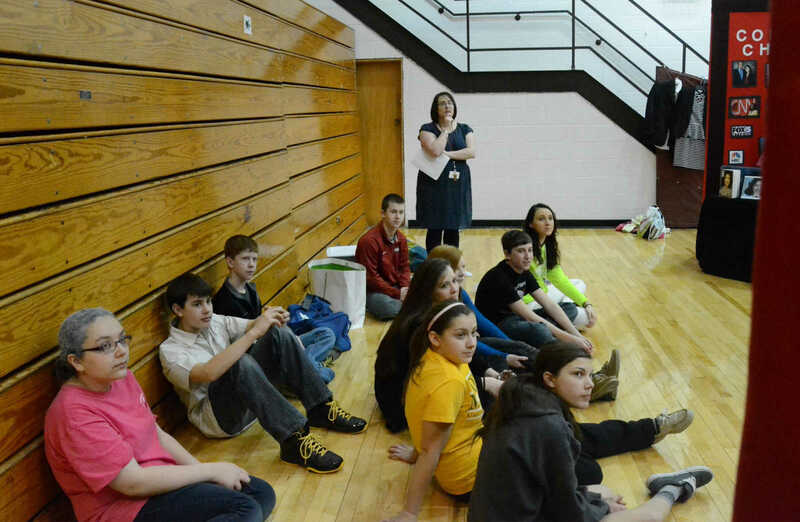 Students listen to other wax figures practice speeches and poses before the Wax Musuem opens to the public Tuesday. 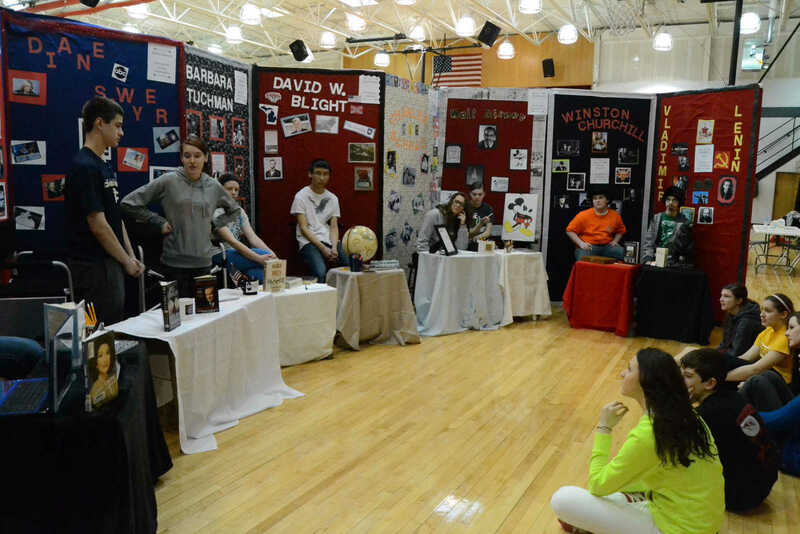 Wax figures practice speeches and poses before the Wax Musuem opens to the public Tuesday.